At Granite Foundation Repair, we know how much value your McKinney home has – and we’re here to make sure it retains that value. It’s normal for the elements to take a toll on your home as the years pass. But with regular upkeep and maintenance, you can make sure your home remains in tip-top shape for years to come. When you are looking for a McKinney foundation repair company that can get the job done right, look no further. At Granite, we’ve been serving the McKinney area since 2003. In this time, we’ve gained extensive experience in all areas and types of foundation repair and know everything there is to know about preserving the value of your home. When you see the first signs of foundational damage in your home, contact the contractors that can terminate it effectively and reliably! One of McKinney’s most established and trusted companies, we are able to solve a wide range of issues expertly and efficiently. We can stop the sloping and foundation settlement in your pier and beam structures and slab foundations. We can effectively handle any issues regarding foundation movement and heaving. 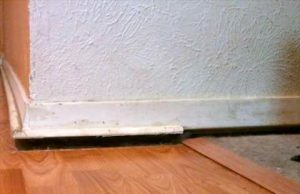 Drainage issues in your foundation are another problem we can take care of with ease. We can take care of your sloping, sagging, fractures, and cracked ceilings and floors, as well as exterior cracks in bricks and problems with the condition of your home. If you see a fissure in your structure that’s small, such as 1/8” wide, it will grow to be 1-2” or even more – let us put a stop to the cracks in your slab! Many things can cause damage to your property’s structure, so we offer many different repair solutions. If your home is at risk, we will find the best treatment method to protect it. At Granite, we set the bar high. Providing unmatched customer service and bringing a broad range of experience to the table, every member of our team understands the ins and outs of foundation repair. Our technicians are passionate about their skilled trade and bring that knowledge to your home. We understand that no two homes will be exactly alike, which is why we always go the extra mile to determine the ideal solution for your structural issues. By going the extra step, we bring about the best results. Unlike many other McKinney companies, we recommend only what is required to repair your issues properly for the first time around. Nearly 30% of the houses we inspect aren’t in need of repairs at all – and we’ll let you know if that’s the case! With any repair we do conduct, it comes with a 100% transferable lifetime warranty. Our services are backed by exemplary customer service and a passion for preserving the value of your home. With timeliness, skills, and competitive pricing, we truly are the whole package! If your McKinney property is in need of repair, you should act fast. The longer the problem persists, the more widespread the damage will become. This means it will be more troublesome, costly, and frustrating to fix. If you spot any of the above symptoms, your home and your wallet will thank you for contacting us immediately. Homes in the McKinney region of Texas find themselves even more vulnerable to issues involving their foundation because of the area’s problematic expansive clay soils. This soil is harmful to your property because it tends to contract and expand with the changes in the weather. It often has worse effects during the dry months of summertime. If you don’t have a proper drainage system installed in your home, this can further the problem. As a result, the ground your home stands on may begin to shift. This leads to movement and consequently, damage. If you suspect your home has fallen victim to foundational problems, it’s essential that you have a professional inspect your property quickly before the problem worsens. You can save yourself and your family the headache of an even worse problem – and spare your wallet the trouble too! 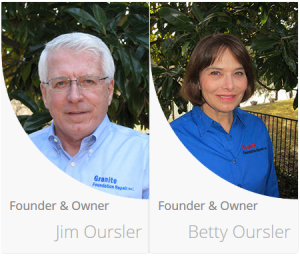 Hire the company that is just as dedicated to preserving the value of your home as you are – contact Granite Foundation Repair! 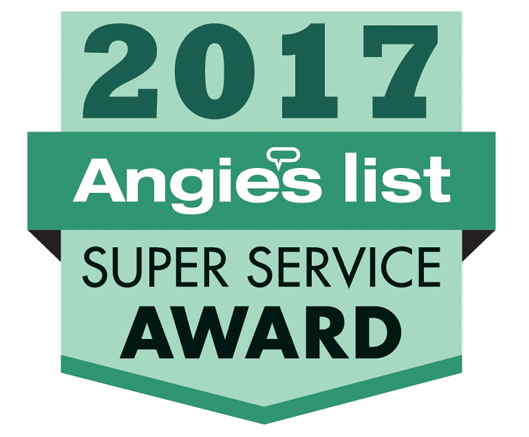 As a local company that has earned an A+ rating from the BBB and is the recipient of several Angie’s List’s Super Service Awards, we have everything that you are looking for from a company for foundation repair in McKinney. We are a family-owned and operated company committed to providing exemplary customer service and going the extra mile to ensure customer satisfaction. We want to give your home the treatment it deserves to keep it serving you and your family well for many years to come! Get started on taking the first step today towards improving your property and getting the repairs you need! Give us a call today, and we’ll send one of our experts out to inspect your home and provide you with a free estimate! From there, we will develop a plan to repair your home to its former glory and restore it to like-new condition.